July 3, 1863, was the third and final day of the Battle of Gettysburg, the largest battle on the North American continent. It climaxed with the Confederate attack we now remember as Pickett’s Charge. Before that happened, General Meade found time to write a quick note to his wife. All well and going on well with the Army. We had a great fight yesterday, the enemy attacking and we completely repulsing them; both Armies shattered. To-day at it again, with what result remains to be seen. Army in fine spirits and every one determined to do or die. George and myself well. Reynolds killed the first day. No other of your friends or acquaintances hurt. 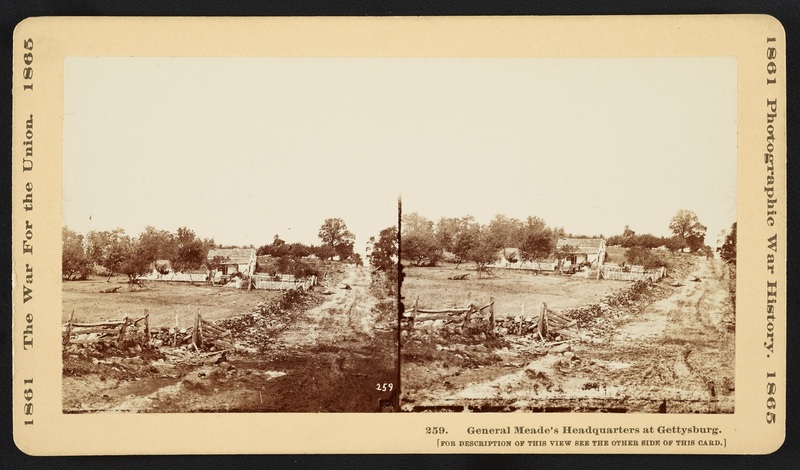 Meade’s letter taken from The Life and Letters of George Gordon Meade, Major-General United States Army, Vol. 2, (New York: Charles Scribner’s Sons, 1913), p. 103. Available via Google Books.